This week did not go by fast enough. Between preparing for Mother’s day at work and anticipating a number of things (including book release events,) it seemed to crawl by. By the time you read this post I’ll be at Disney World, enjoying a mini vacation and checking out the various food and drink offerings at the Flower & Garden festival. The iron doors unbolted and screeched as they opened. In the hours after sundown, most Machines shut themselves down to conserve precious battery power. So when the doors of Robot Town opened for Edward, the population inside was mostly deaf to the noise. But Machines were not the only ones in Robot Town any more. On a catwalk above, Edward heard startled cries of young humans being shocked out of sleep. The doors squealed shut and he sighed with relief. Safety at last. If only the fortress had more light. He would’ve loved to see his children’s faces right now. He heard footsteps above him. First one set, then two, and then enough steps that he couldn’t keep track of them. When he heard Dot whisper, “Dad’s here!” he felt lighter. But the day’s events – the gunfight, escaping from the Guard, crawling through cramped tunnels – left him weary, and with taking one step he collapsed. 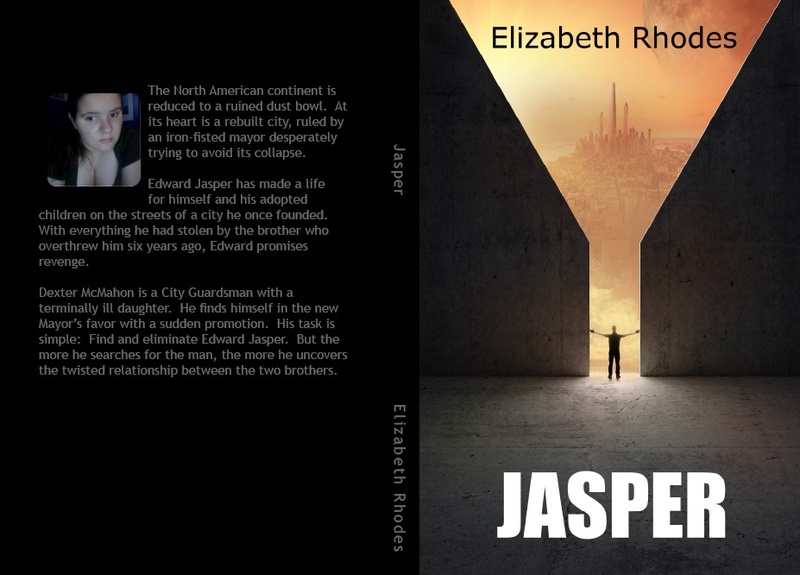 Jasper will be released on June 1st. If you have a Kindle, you can pre-order an ebook edition right now!